San Francisco manufacturer WaterField Designs unveils the Tech Folio, a thoughtfully-designed, professional-looking case for storing and organizing electronic gear and a tablet. Featured as part of the company’s Gear Case Month, the Tech Folio is the first of three new designs born out of WaterField’s pioneering crowdsourced design process. 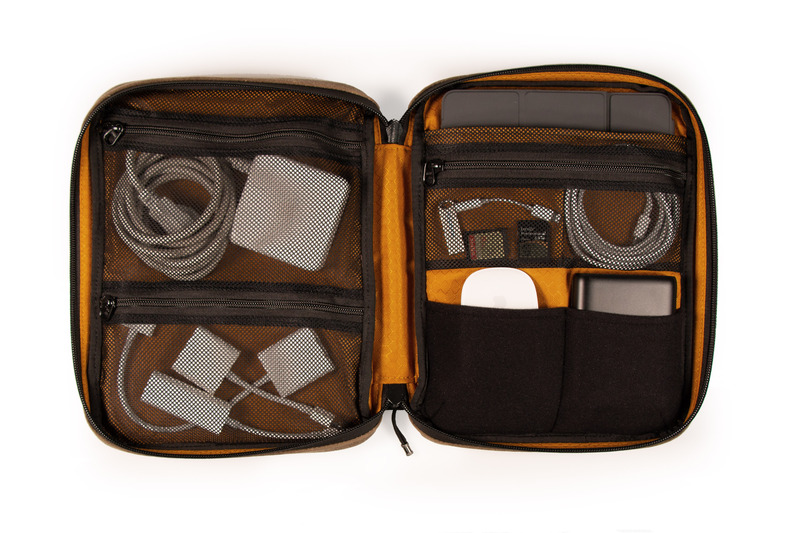 After much testing, we realized it is easier to keep cables organized, visible and untangled using a combination of mesh and padded pockets. San Francisco’s WaterField Designs, an innovative leader in custom laptop sleeves, bags, and device-specific cases, introduces the Tech Folio, a premium case to organize electronic accessories and a 10.5-inch iPad or similarly-sized tablet. 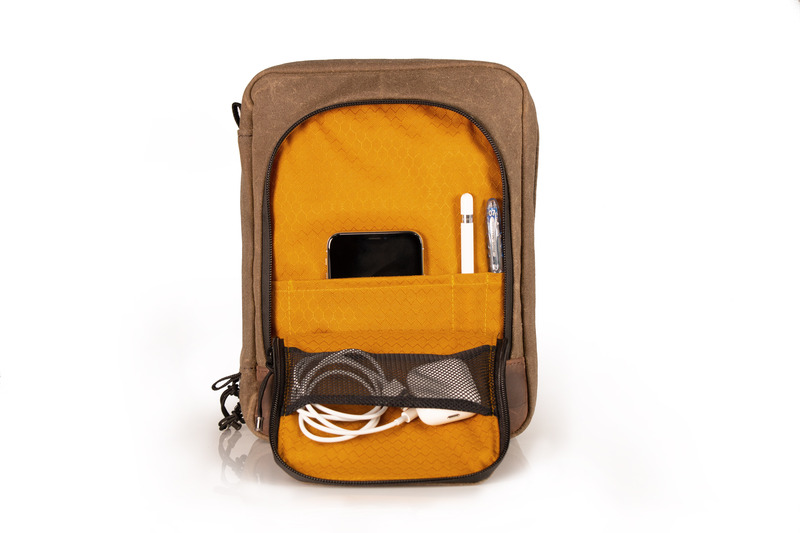 The Tech Folio’s unique pocket storage system holds cables, cords, bulky and slim items, tech gear and personal items, all in a see-at-a-glance fashion. Developed as part of WaterField’s fifth collaborative, community-design project, the new Folio gear case looks as stylish in the boardroom as it does at the local café. The Tech Folio is designed for people who take electronic gadgets wherever they go and need a convenient way to store accessories and cords. 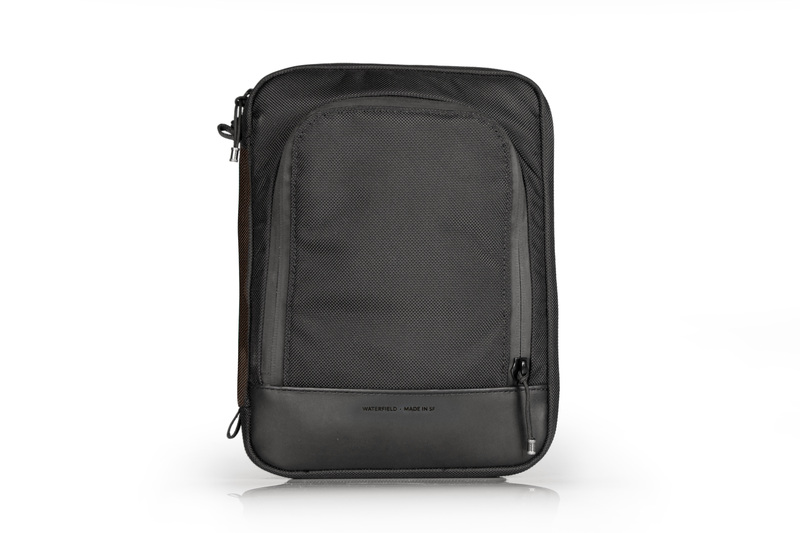 It unzips to open like a book, revealing a combination of mesh and padded pockets. Stretch-mesh pockets allow users to easily spot items like a power supply, USB cords, dongles, earbuds, and other necessities. These pockets are sized so that cords can be bunched easily and inserted into the case without having to coil and recoil them with each use. 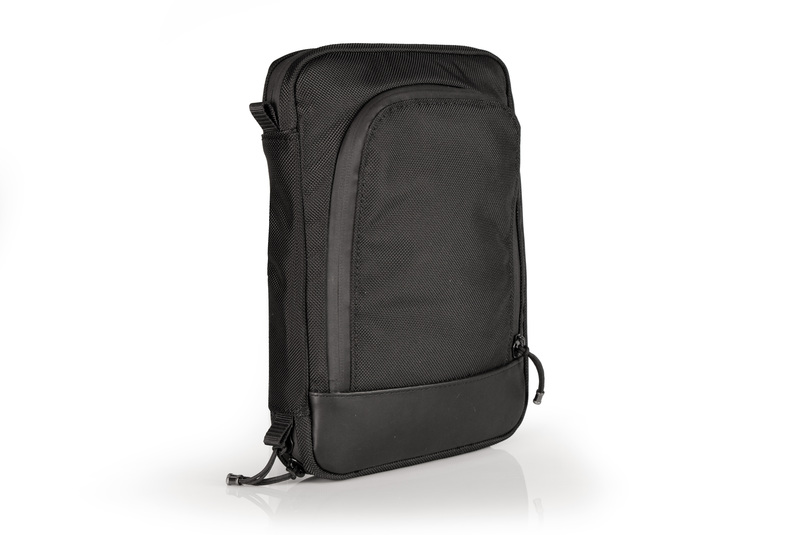 Two soft, flexible pockets hold and protect a hard drive and auxiliary mouse or similarly bulky items. 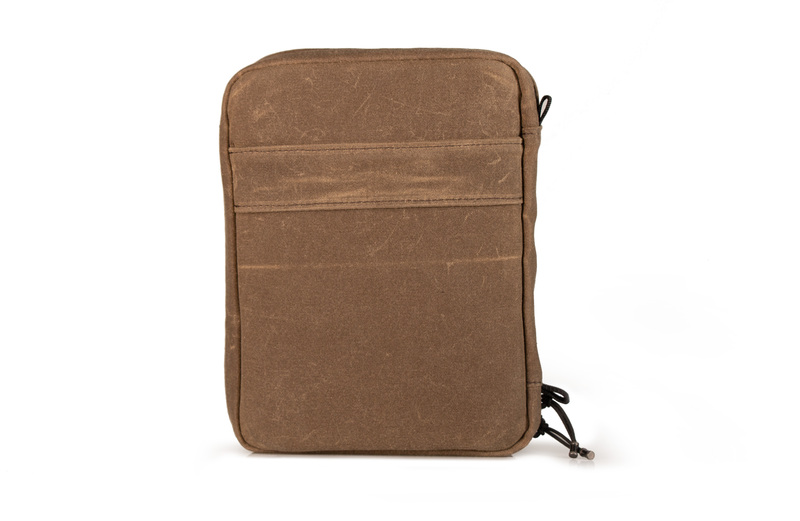 Behind one panel of pockets is a padded tablet compartment that cushions a 10.5-inch iPad or similarly sized device. Underneath a leather front flap, easy-access pockets hold a smartphone, the Apple Pencil or Surface Pen, ballpoints, additional cords, and accessories. 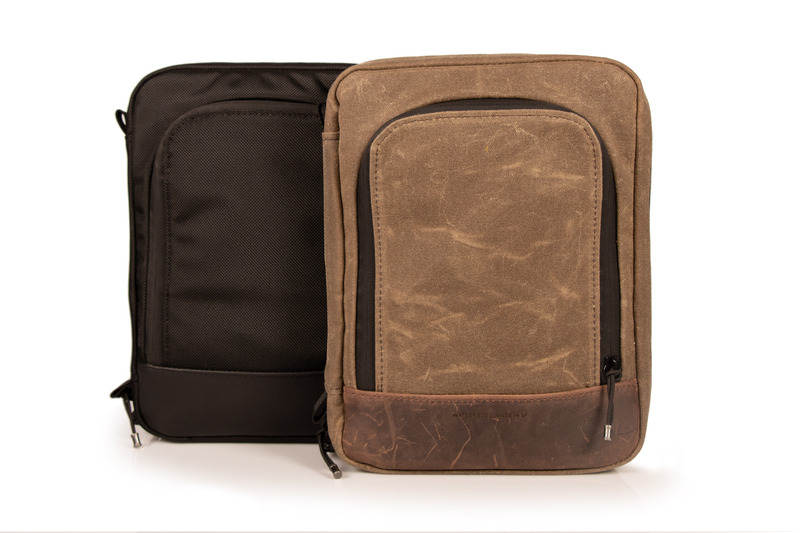 Available in rugged waxed canvas and chocolate full-grain leather for a sporty look, or black ballistic nylon and black full-grain leather for a more classic look, the Tech Folio can be used on its own as a small satchel or inserted into a larger bag. WaterField designed this new gear organizer using its unique customer-collaboration process that results in highly-functional products specifically tailored to address customer needs. After analyzing survey data gathered from hundreds of customers, the company identified the need for three unique cases. It then began to design prototypes, while continuing to gather feedback and to provide project participants with design updates. The resulting Tech Folio incorporates details that reflect how people interact with the product on a daily basis. 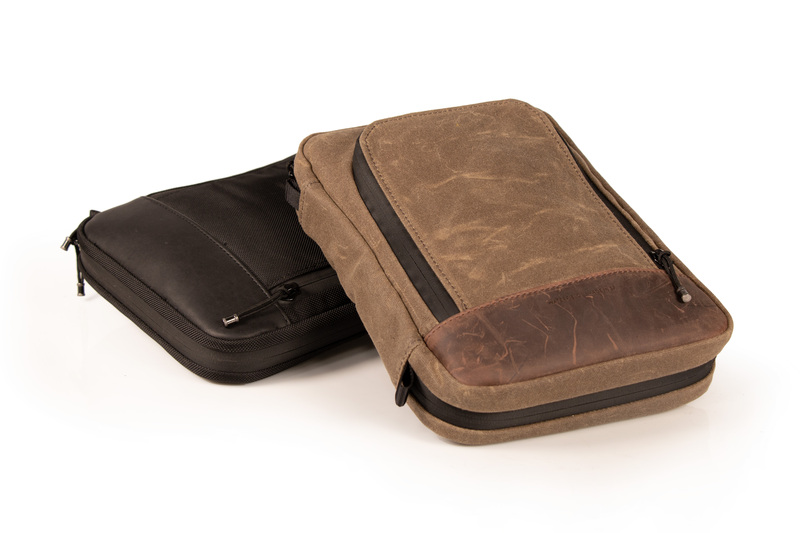 WaterField will announce two additional gear cases in upcoming weeks as part of its August Gear Case Month. Although the company has always used customer feedback as inspiration for product ideas, it initially formalized the process through the Kickstarter platform with the design of a highly-organized travel wallet. When Nintendo launched the Switch gaming console, WaterField fine-tuned its crowdsourced design method and developed a collection of Nintendo Switch case. 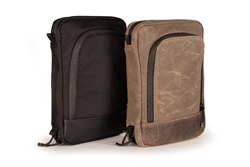 In response to strong customer and company satisfaction with its collaboration practice, WaterField once again engaged its customers to create the innovative Air Porter Carry-on for frequent travelers, the iPhone Camera Bag for iPhonographers, and most recently, the Pro Executive Backpack for professionals. 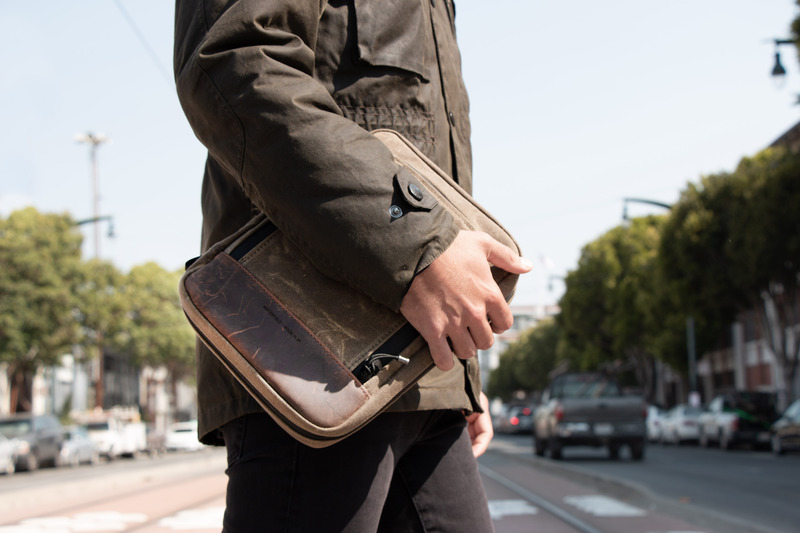 The Tech Folio is part of WaterField’s fifth crowdsourced design project. Colors and materials: Black ballistic nylon with black, full-grain leather, or tan waxed canvas with distressed, chocolate, full-grain leather. Dimensions: 10.5 x 8 x 2 inches. Pre-order now. Shipping begins August 24. 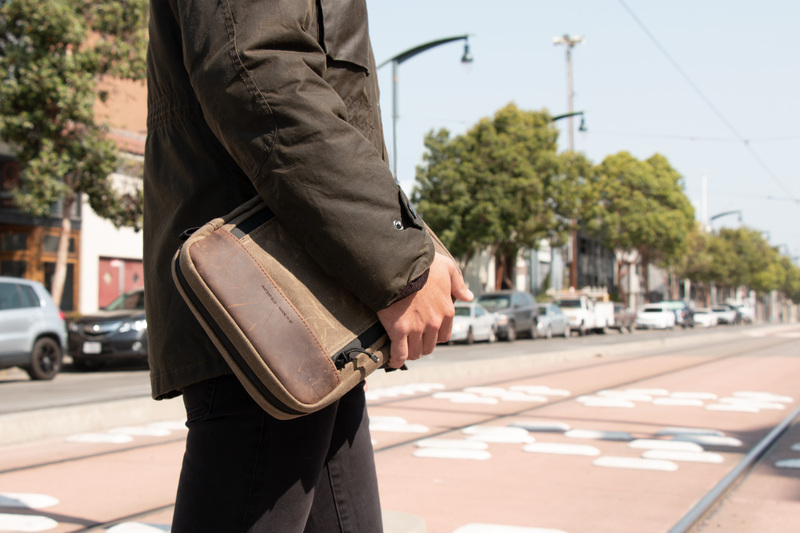 WaterField Designs is an innovative San Francisco designer and manufacturer of bags and cases for tech-savvy consumers who want to stylishly and responsibly transport their technology. 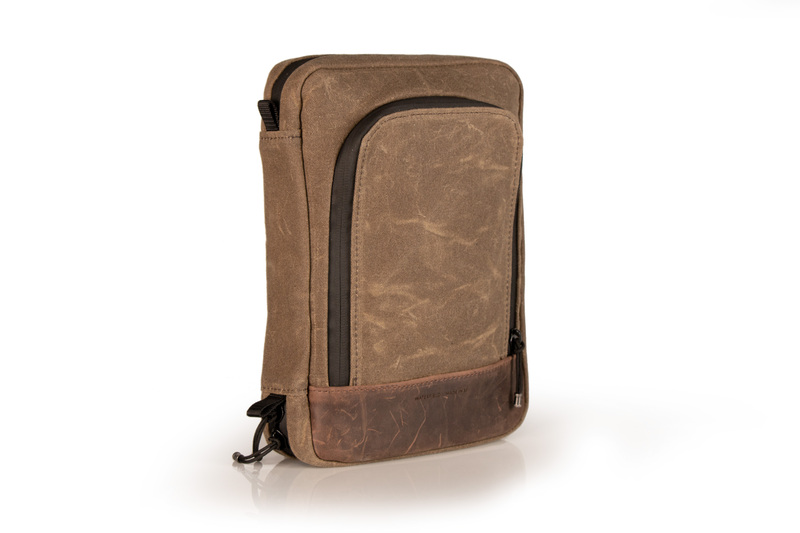 WaterField manufactures custom-fitted, high-quality cases and bags for a full-range of laptop computers, smartphones, tablets, gaming devices, and other digital gear. All products are manufactured to exacting standards entirely in San Francisco. More information at "Our Story”. 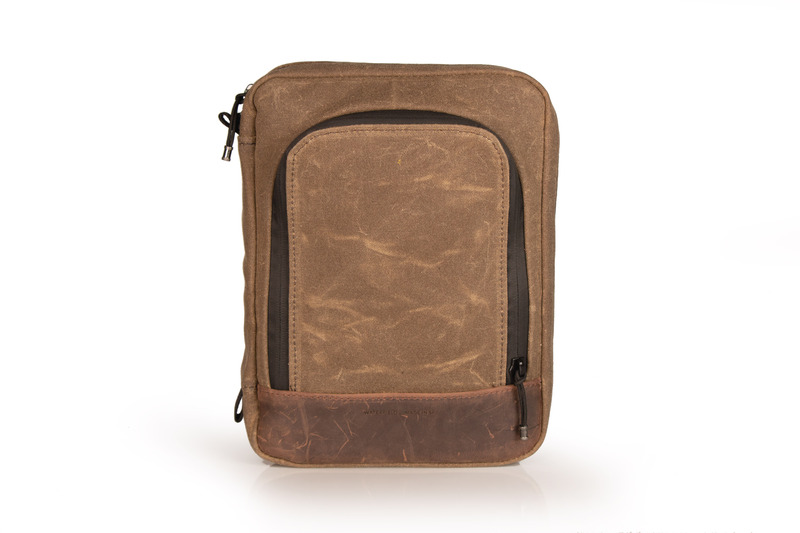 WaterField Designs and SFBags are trademarks of WaterField Designs. Other company and product names may be trademarks of their respective owners. Copyright ©2018. All Rights Reserved.